You will Watch G.I. 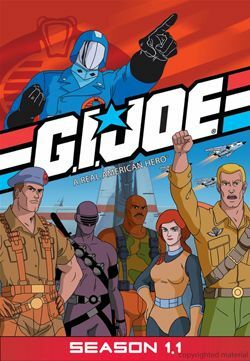 Joe: A Real American Hero Season 2 Episode 14 online for free episodes with HQ / high quality. Stream cartoons G.I. Joe: A Real American Hero Season 2 Episode 14 Glamour Girls Madame Vail agrees to sell her youth transference machine in return for kidnapping the world’s top models, who’s youth and beauty will be transferred to the machine’s user.